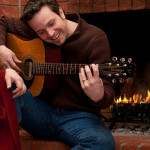 Old timers had rules of thumb, that is, experienced-based guides, about how many cords of firewood a tree would yield. One of those is that a tree that is 18 inches in diameter at the base and four times the height of a man will yield a half-cord of firewood. Different varieties of trees, and even trees of the same species, that meet the 18 inch base diameter and roughly 24 feet tall criteria will actually yield somewhat different quantities of split firewood. Nevertheless, this How Much Firewood per Tree guideline has been a useful piece of folk-knowledge that has withstood the test of time. 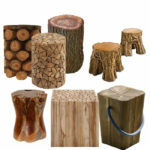 Over the years, people, especially landowners who wanted to grow their own firewood or grow firewood for sale, wanted more precise ways to calculate the How Much Firewood Per Tree in Cords information. 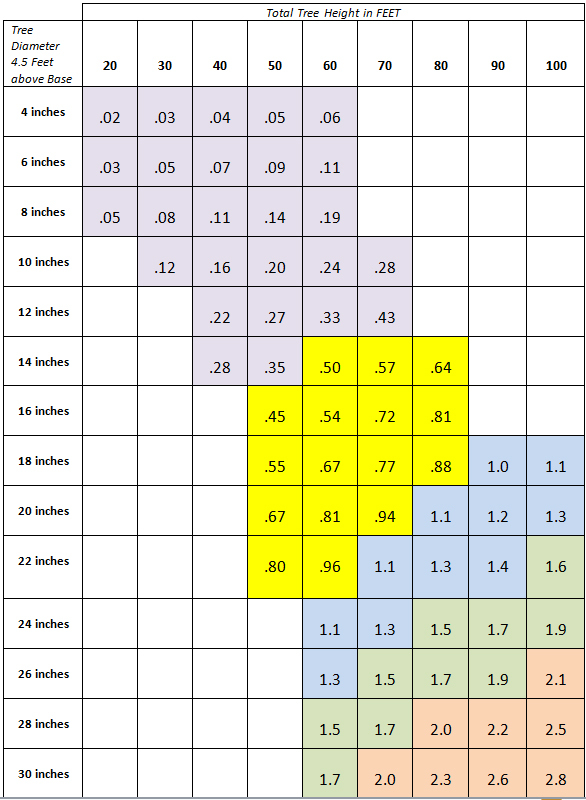 Thus the rule of thumb was replaced by the following table from which one can determine with some accuracy how much firewood per tree, as measured in cords, is available. To use the table, you will need two measurements per tree: height and diameter at chest-height, that is, 4.5 feet up from ground level. Note that this diameter measurement is different from the diameter at base of the tree that is used in the rule of thumb. 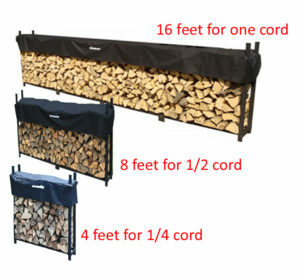 The purple squares indicate less than a half cord of firewood. The yellow squares indicate a yield of from half a cord up to just less than one cord. The blue squares yield equal to or greater than one full cord, but less than 1.5 cords. The green squares indicate a yield of from 1.5 cords up to just less than 2 cords of firewood. The orange squares indicate 2 cords or more of firewood yield. 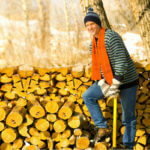 To use the How Much Firewood per Tree chart above, you have to have the height of the tree or at least a good estimate. 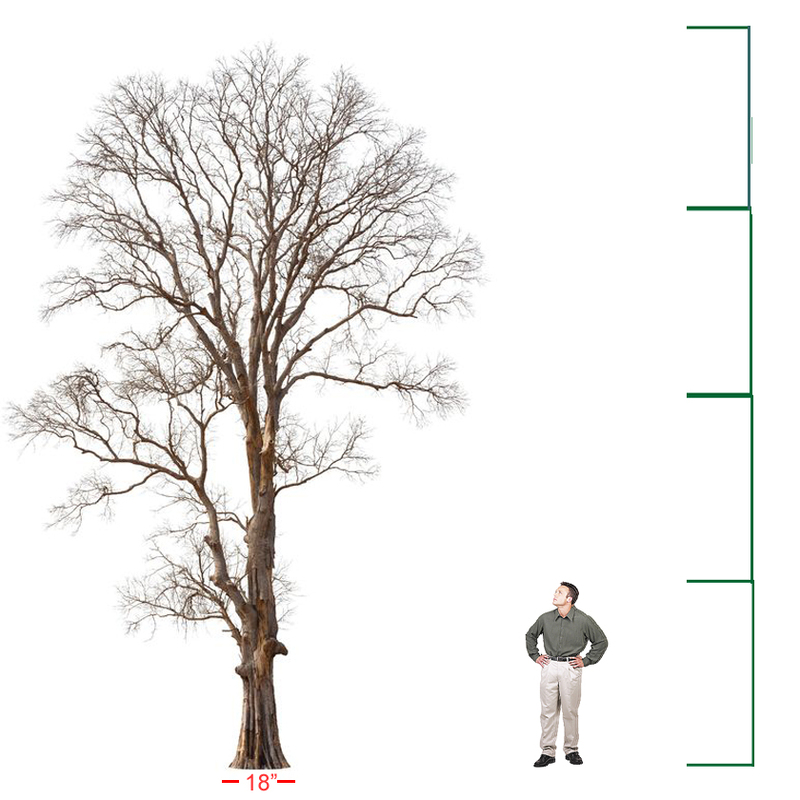 To measure the height of a tree, we offer two techniques. One is the time-honored “guesstimate” that requires no special equipment. The other is the modern version, using your smartphone or tablet. 1. 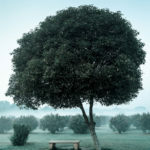 Select a tree to measure for height. 2. Close one eye. 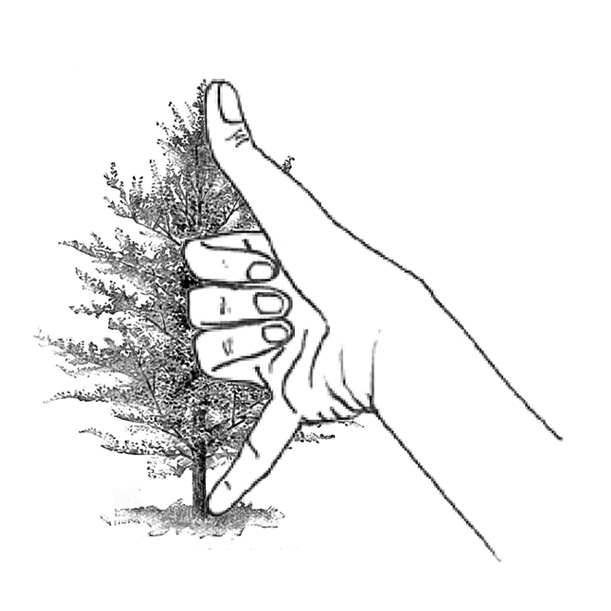 Point your opposite hand at the tree, keeping your elbow rigid. Now make a fist and point your thumb upward and your little finger toward the ground. Spread your thumb and little finger as far apart as possible. 3. Line up your open eye with the top of your extended arm. 4. Holding this arm and eye in this position, walk either toward the tree or away from the tree until the top of your thumb lines up with the top of the tree and the bottom of your little finger lines up with the base of the tree. Mark the spot you are standing. 6. Divide the measured distance by 3 for a good estimate of the tree’s height. Why it works: The span from your thumb to your little finger is 1/3 of the length of your arm. We like the free EasyMeasure app. It is available for Android or IOS. EasyMeasure uses the camera feature of your smartphone or tablet to measure height of a tree using the height of the camera from the ground and the tilt of the phone. Before using, you have to set the app so it knows the height from the ground at which you typically hold the smartphone when taking photos (generally, eye-level is your height minus 4 inches.) Read more about the EasyMeasure app. 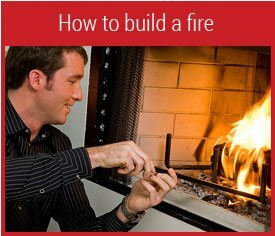 So, to determine how many trees of what size you will need, first know how much firewood you will need. 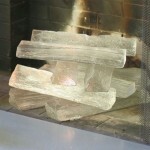 Then you will want to know how to stack it correctly. Interesting.When I was in school,our head coach used to tell us some very handy tips like this one.measuring the tree form hands and many other tips.Also trees are very useful and have multiple advantages.Thanks for sharing it.